Ribco’s expansion into this market is a welcome addition to the boating landscape, we discover why they are such an attractive alternative to the traditional day boat. No longer are tenders just used to get to your main boat, they can be enjoyed in their own right as practical transport and luxurious all-rounders. 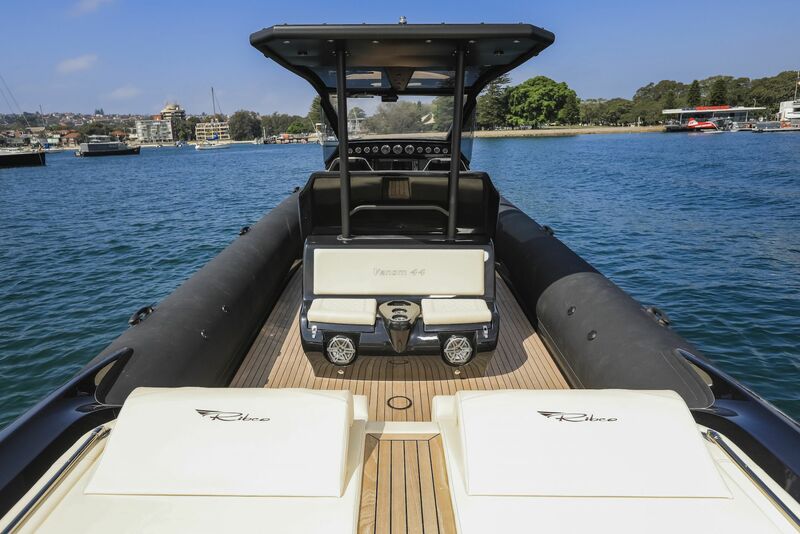 Ribco Australia’s range of rigid-hulled inflatable boats (RIBs), are part of a growing trend of versatile tenders and day boats that are defying typical definitions. From RIB tragic to owner of Ribco Australia, Oliver Workman was blown away by Ribco’s attention to detail and customer service. From there, it was an easy decision for him to bring Ribco to Australia. “I was looking for a RIB to drive hard and take offshore, one that also provided the amenity, luxury and comfort for long days on the water with my family. It took a me a year, but I finally found what I was looking for. “I spied this sleek, black RIB in the middle of Sydney Harbour; it looked like something out of a James Bond film,” says Workman, reflecting on his early association with the Ribco brand. Founded in 1994 in Athens, Greece, by Stelios Ladopoulos and Nikas Valerianos, Ribco quickly became a household name in the Mediterranean. Boat owners down under enjoy a similar kind of boating lifestyle to that in the Med, which makes the introduction of a truly offshore, luxury RIB an appealing prospect. “We are excited to introduce our most seaworthy, well-built, luxury, performance RIBs available,” says Workman. As Ribco Australia is an extension of the factory and head office, they are able provide significant support for clients and their boats, which makes it easier for buyers to access new models in advance of other markets. 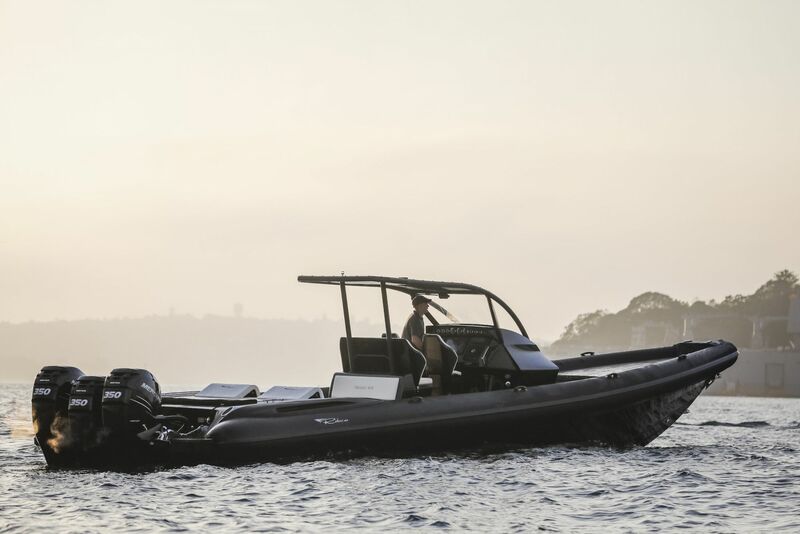 Australia is becoming a focus for the brand, and Ribco Australia expects our continent of offshore adventurers will embrace these rugged RIBs. The Venom 44 certainly fits this requirement. 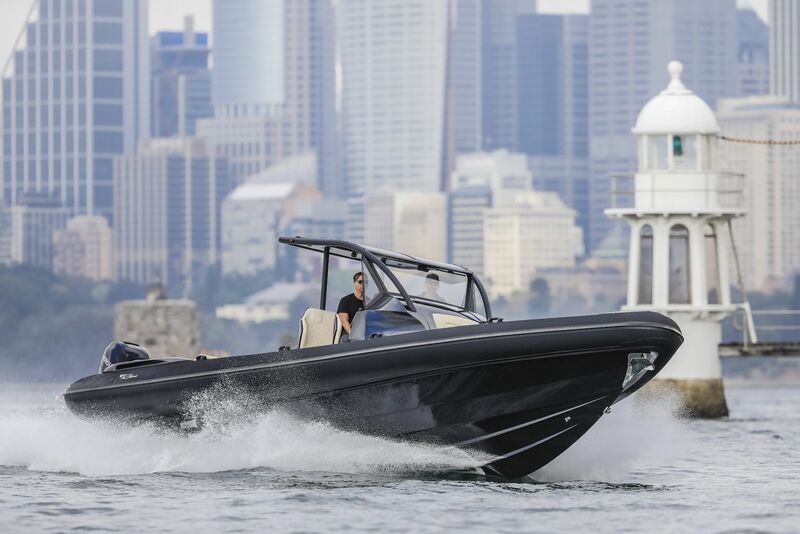 The flagship of the Ribco Australia range, the Venom 44 is a shiny black 13.5-metre beast. What will be most attractive to potential owners is its aggressive style. It moves with absolute confidence, agility and speed as it launches from the water into anything that can be thrown at it. With a solid fibreglass composite hull and durable non-slip Hypalon tubes, it’s the ultimate tender and chase boat, but it also serves as more than that. With its ingenious hull design, hand-laid teak decking, spacious seating area and huge rear sun lounges, it’s also a great day boat. “There is no better boat for the type of boating Australians do” comments Workman. What sets this RIB apart from most premium offerings on the market is the Venom 44 delivers true offshore capability. With its seven-bulkhead hull construction, it is able to withstand winds of force 8 and waves of up to 4 metres. 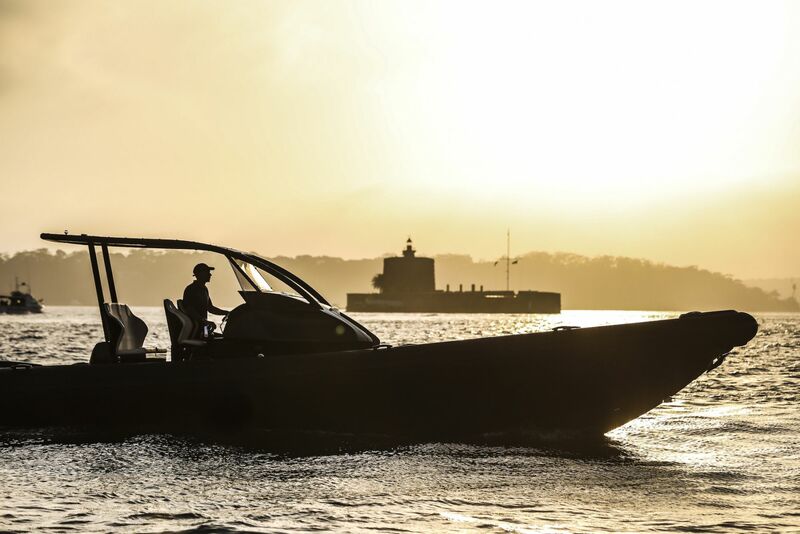 Its rigid, three-step hull, designed by naval architect Lorne Campbell, raises it out of the water 62 degrees at the bow and 24 degrees at the stern, making the 4.8 tonne RIB glide effortlessly along choppy waters. The hull was designed from scratch, and the weight of every component used to accurately calculate the centre of gravity before finalising the step size and location. The chines are very small and as sharp as physically possible with a small rocker toward the bow that lifts it from the water. The Isota Marine wheel with power steering is incredibly responsive. Performing full 360-degree turns in a tight circle, the water only just touches the tubes. Not many RIBs offer that kind of handling and manoeuvrability. The two bolster seats, with hydraulic shock absorbers, and the height of the cockpit allows for the same eye line whether you’re sitting or standing, and allows drivers to travel in comfort. The sleek cockpit design, with convex sides, has full visibility and side curtains to fully enclose the cockpit in heavy weather. 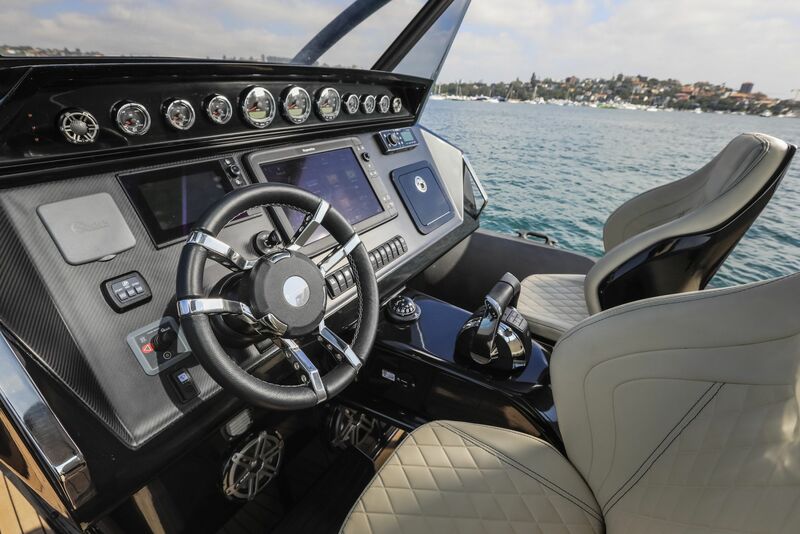 The carbon-fibre dash resembles a control centre from a much larger boat with GPS, Raymarine 15-inch touch screen, charts, sounder, weather-resistant carling switch panel and Mercury gauges laid out in an ultra-modern style. The dual helm controls with Bennett trim tabs and buttons gives the pilot exacting control, trimming with a simple click while flying at a cracking pace. Its tubes are made of Hypalon fabric from French manufacturer Orca, and unlike other major brands, has no glaring external seams. It can also run at full speed with the inner tubes completely deflated, providing absolute safety and confidence when operating offshore. Simply put, the Venom 44 is a smooth, cool ride. It comes standard with three 350hp Mercury Verado engines, capable of jetting across waterways at 65 knots. The engines are so quiet that even with the top of the line JL audio system blaring, the pilot and passenger can easily converse about which bay to explore next. With Fusion interface player, subwoofers and tweeters in the dash and targa, the Venom 44 certainly does not lack for atmosphere. It doesn’t skimp on luxury either, with two large sleeping cabins, a large centre console concealing a spacious toilet and shower space (hot and cold), a wet bar and fridge, and for the Australian and New Zealand market, a Nespresso machine hidden in the cockpit seat. “I made sure that any model coming to southern shores had an inbuilt coffee machine. The machine is run off our 2kW inverter, ensuring a hot cup of coffee is available at your leisure. “Aussies are particular about their coffee, and with our range you don’t have to cruise around to find a waterside cafe to get your caffeine fix,” remarks Workman. An integral solar charging system, inverter and shore power system means power is never an issue during long days spent on the water. The forward cabin opens and extends out with a protective canvas tent roomy enough for two people. A great use of space, it folds away inconspicuously to complement the forward deck platform. The aft cabin comfortably sleeps two, and would make a great storage area for seabobs or snorkelling gear. The back pulls away to reveal a meticulously set-out battery hold. It has lights installed in the roof to easily find your away around the battery system and engine lines. For any owner that is serious about maintaining their machine, it makes sense to have lights installed in the workspaces. It’s these practical features that really demonstrate the care and thought that’s gone into the design of these RIBs. Everything is well ordered and easy to access. Unlike other RIBs that have simple electrical and fuel systems, the Venom 44 is fully loaded with a yacht-grade electrical system with six maintenance-free 12 VDC batteries and an extensive fuel system that ensures the three Verado engines are well fed at all times. They have built redundancies into everything, which means you can utilise any or all of the batteries if needed to start any engine, operate any device, or run any engine from any fuel tank. Every cable runs through conduits in the hull, so there is no chance of any chafed cables. “It’s a signifier of the craftsmanship that goes in to building these RIBs. They aren’t built to a cost; they’re built to a level of quality,” explains Workman. The Venom 44’s biggest assets are its durability and performance; a true ocean-going luxury day boat. Best as a dedicated performance machine, save the bigger boat; these RIBs are all owners need to fulfil their day-cruising fancies. 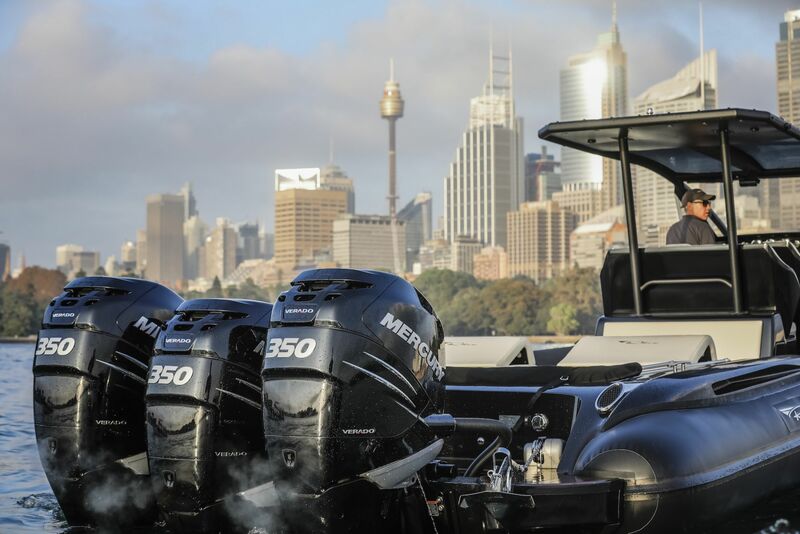 Ribco will premiere their range of RIBs at Sydney International Boat Show, featuring the Venom 44, Seafarer 36 and the 28ST with a two stepped hull.